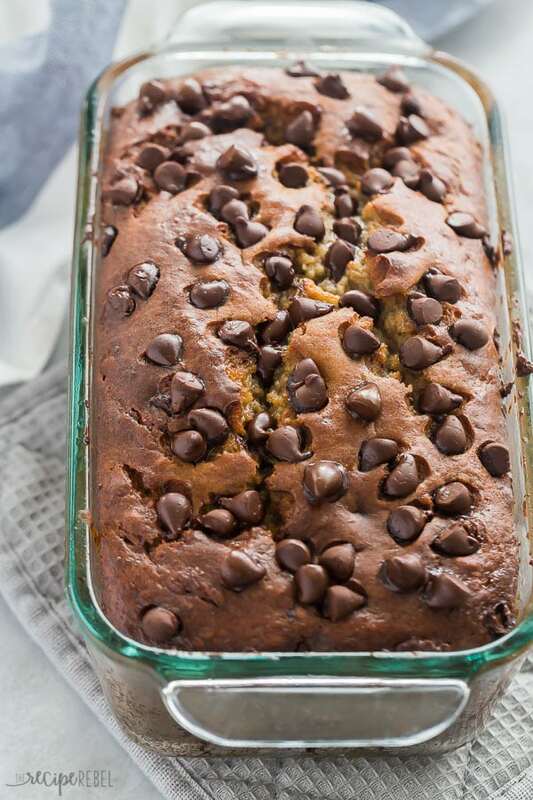 This Chocolate Chip Banana Bread recipe will be your new favorite! Perfect for breakfast, snacks, and lunch boxes. Super moist and made with one bowl and a whisk! Banana bread is tied for first place as one of my All Time Favorite Smells. Can you guess the other? I mean, there’s just nothing better than those two things. 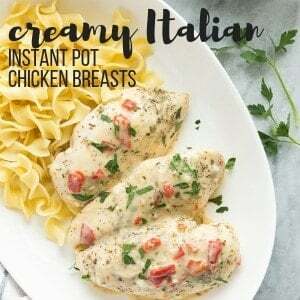 Their warm, inviting smells or their awesome flavor! I’ll admit, normally I’m a plain Jane when it comes to my banana bread. 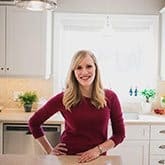 I like to make banana bread as a healthy snack and breakfast, which is why I generally leave out the chocolate when I make this healthy Banana Bread recipe. But every once in a while you need a treat, right? A little something extra special to get you through the day/week/hour. 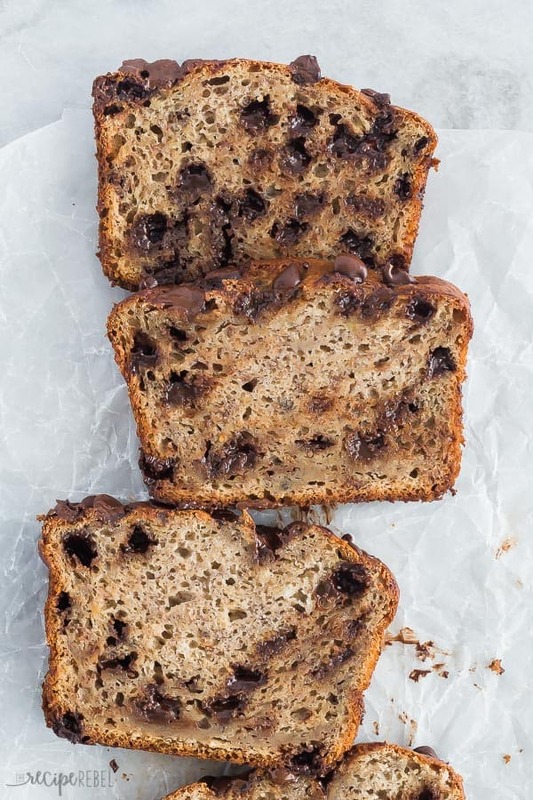 Enter this easy Chocolate Chip Banana Bread. It is super moist (and relatively low in fat) thanks to Greek yogurt and unsweetened applesauce. My default is to make as many healthier swaps as I can without people noticing, so I’ve kept those substitutes that I used in my original banana bread recipe, but I’ve dolled it up to make it an extra special treat. How do you make the best Chocolate Chip Banana Bread? In my mind, the best banana bread is always one that you can eat without butter, peanut butter, Nutella, etc. If I have to add to it, it tells me that I should be adding more moisture (even though I just generally enjoy a little saltiness from butter with my banana bread). I use Greek yogurt and unsweetened applesauce as I mentioned above, as lower fat options, but only because I am so in love with my original banana bread recipe that I didn’t want to mess with it. To keep the exterior from getting dry with the long bake time, it is recommended to cover the banana bread once the top is dry. I will admit though that sometimes I load up the top of my chocolate chip banana bread with chocolate chips and don’t want to smush them with the foil. That part is up to you! The interior will still be super moist. Try swapping the chocolate chips for butterscotch, peanut butter, or salted caramel chips — all awesome with banana! You can bump up the spice factor by adding a pinch of nutmeg, ginger or cloves. Or if you prefer, you can leave out the cinnamon entirely! Feel free to swap the plain Greek yogurt for sour cream if you prefer — they both give a great richness, moisture and slight tang, so I use them interchangeably in this recipe. Whatever you have on hand is great! 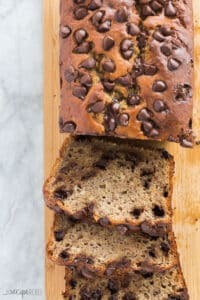 I always, always make two loaves of this chocolate chip banana bread at a time because between us and the kids it doesn’t last long! I like to have one in the freezer for breakfast or lunch box emergencies. Simply wrap snugly in some plastic wrap (or a freezer safe container with a tight seal), and place in the freezer. Freeze up to 3 months. Banana bread will thaw in a few hours on the counter, or overnight in the refrigerator. Keep in an air tight container for up to 2 days. I don’t like to keep it any longer than this on the counter as it can begin to spoil. Store in an air tight container for up to 1 week in the fridge. Might I recommend a quick zap in the microwave to melt those chocolate chips before snacking? Preheat oven to 350 degrees F and lightly grease an 8x4" loaf pan (larger is fine, but you will want to reduce the cook time by 10-15 minutes). Mash bananas in a large bowl with a fork or a whisk. Add sugar, sour cream, applesauce, eggs and vanilla and whisk until completely combined. Add flour, baking powder, cinnamon, baking soda and salt and stir just until all flour is moistened (no white streaks). Stir in chocolate chips and spread into prepared loaf pan. Bake for 50-65 minutes, covering with foil at the 40 minute mark if desired (to prevent further browning), or until a toothpick inserted in the center comes out clean. 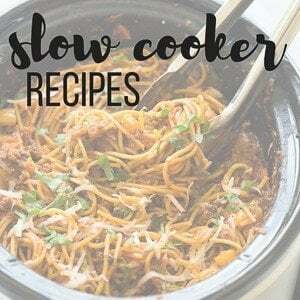 Let cool in pan on a wire rack for 15 minutes, then carefully remove from the pan to cool completely (or to serve warm!). 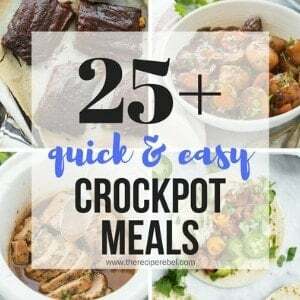 « Easy Casserole Recipes – make ahead friendly!